. I can look back on a total of more than 500 hours of training and have over 8 years of professional experience. 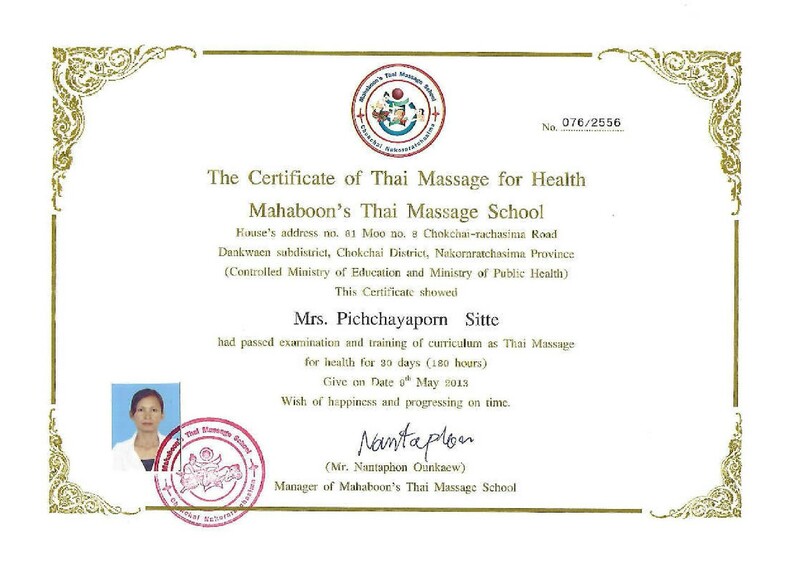 I have the necessary skills to be able to bring you the experience of a first-class, professional Thai Massage closer as one of the few experienced masseurs. 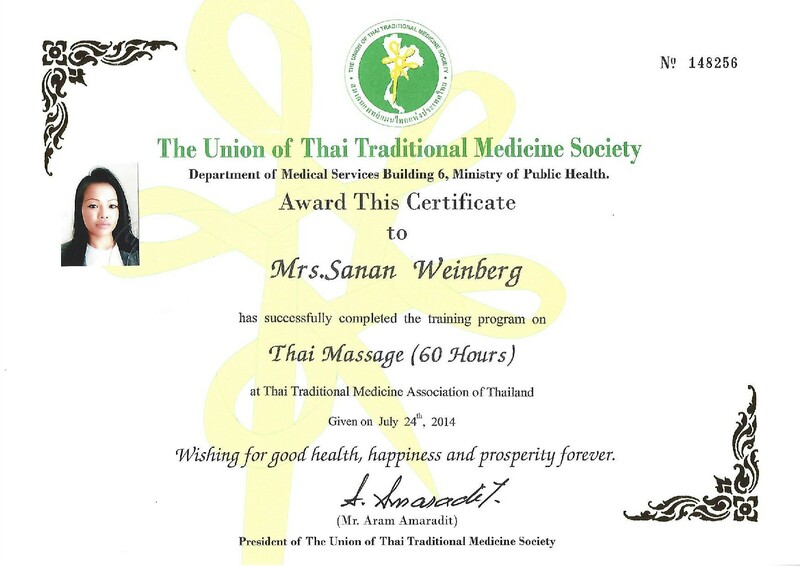 My first training as a masseuse took place in 2006 at the Union of Thai Traditional Medicine Society, Rattana Thibet in Nonthaburi Thailand. 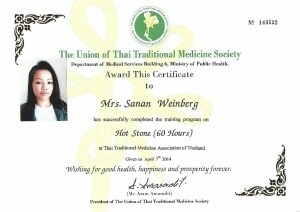 This school is recognized by the Thai Mine Terium for education and public health training center. 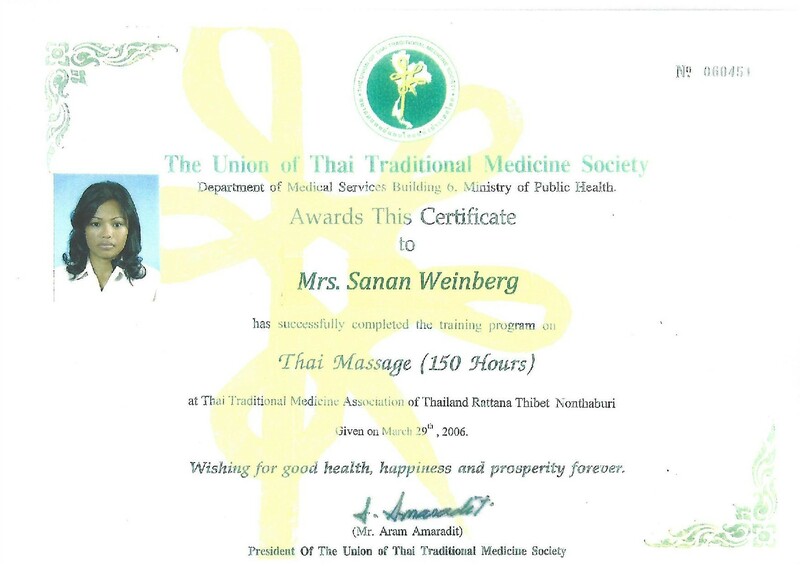 In 2010, I taught Joachim Schulz of Germany Nuad Thai Traditional institution (yoga) massage in Dusseldorf. 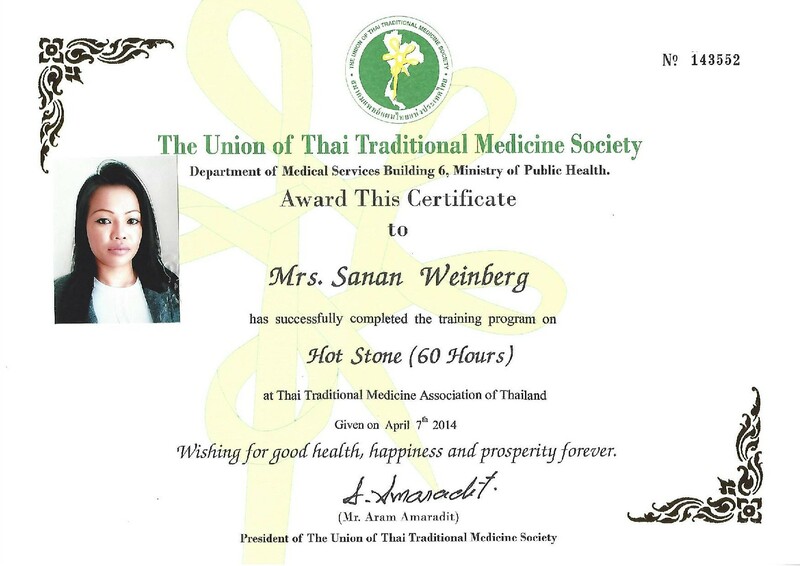 In 2012 I was four weeks further formed on the Thai Traditional Medical Services Society, Training Center of Pathumthani Thailand. 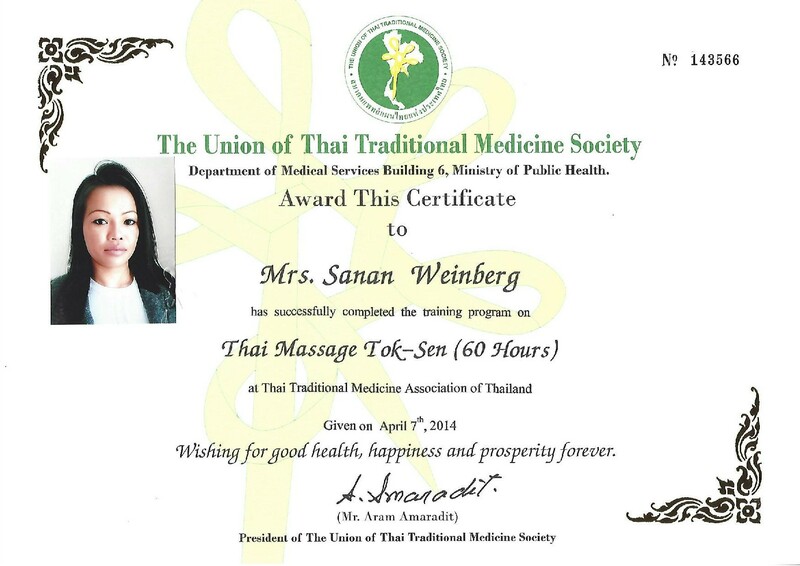 Currently I'm preparing to get in front of an instructor diploma of the Union of Thai Traditional Medicine Society. Another step to deepen my experience and my staff to constantly develop further. We only work with dates, massage without an appointment are available!